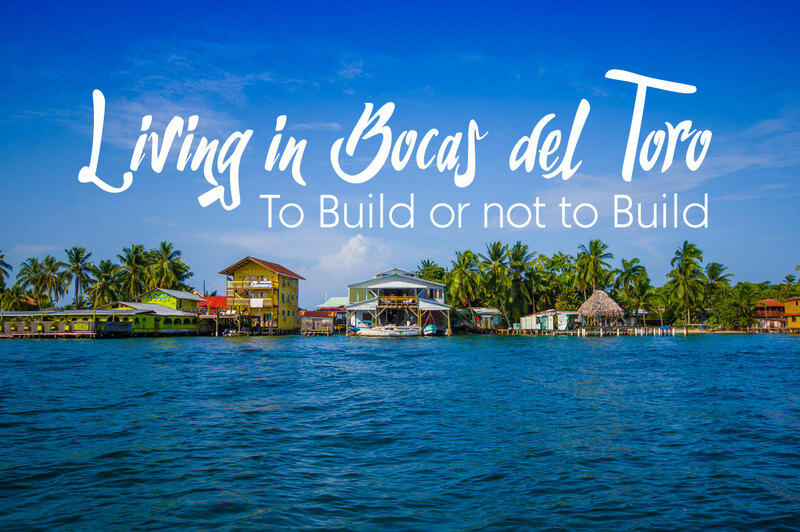 As promised, I am finally getting the chance to continue my series about building in the tropical islands of Bocas del Toro. Keep in mind that this series is targeted toward the average home builder. If you are planning on a large construction or development project, obviously, many of the basics still apply but there is a whole different level of experience and expertise involved. In part two of this series, I got into the choice of materials and described considerations regarding climate, insects and availability. So let’s assume that you have made a decision as to whether you are building with concrete, wood, steel, covintec , bamboo or a combination of materials. But whatever you have chosen, plan your materials list carefully and allow plenty of time in your building schedule to make certain that the materials get to the job site in the right time. Also be aware that sometimes the most common of materials become scarce at the exact time you need them. Try to plan so that you do not incur a two week delay because you are short three sheets of white roofing metal that is suddenly unavailable in all of Panama. Transportation to the job site is also a consideration and requires some pre-planning since everything needed will be moved by hand and/or boat if it is on an “off” island. That means if you build on a ridge overlooking the sea, you will have to build your own “road” and supply your own transport vehicle since there are no roads on any of the islands except Colon. The truth is, many amazing homes are constructed in this area where every nail, board, rock, sack of cement and infrastructure component is carried and put in place by hand labor. It is also a good idea to have some method of securely storing your tools and materials so that they are protected from the elements and from becoming unintended community donations. Depending on the location and who ( if anyone) is guarding the hen-house, a sturdy security fence, a good temporary roof (tarps) and a solid, secure storage shed (bodega) will suffice during your construction period as long as it is an “active” construction site. Almost anywhere you build (except directly in Bocas Town) it is inconvenient to get tools or hardware if you happen to run out of screws, nails or saw blades so try to have extras or backup supplies so you are not spending all your time running to Bocas to get that one plumbing fitting that is critical to your progress. The expense of having a “mini-hardware” on-site is far less than the time and inconvenience of multiple trips to town. However, regardless of how well you plan, there will be unforeseen circumstances that will necessitate the unavoidable supply trips to town. In time, you will learn to be flexible, keep lists, and utilize your hammock, cold adult beverages and beauty of the waves braking on the shore when all else fails. After all that is really why you’re here. Believe me, complaining to your snow-shoveling friends back home will generate no sympathy. Another thing to consider is power source at your job site. Few places in the out islands have power available. The best solution is to include an electric generator in your tool supply needs. Later, this can become your stand-by in the event that the off-grid source running your new house needs backup for some reason. In most cases, you don’t have to get crazy about the technology or size of your home/construction generator. Modern generators are pretty quiet, efficient and adaptable to the kind of demands the average household requires. Most of the “off-grid” homes in the area are run on solar power and there are several good local companies that supply, install and service systems. I think wind power is another option that is somehow overlooked here and I’m not sure why since the ocean breeze in the tropical Bocas del Toro archipelago is almost always present. My observation is that most of the blue-water, live-in sailboats harbored in the area use that as their primary system. I’m looking into the possibilities for my own use so I will let you know what happens as I process the learning curve. The last thing I want to touch on is the availability of labor in the area. There are plenty of local people who are ready and willing to work at non-skilled positions like clearing land, digging , general construction labor etc. The local labor laws are a bit complicated and can be tough on the unwary employer. So check with your attorney so you understand all aspects before you get too involved. Hiring contractors to help with your project is a good option but be sure to check with some of the people who have hired contractors in the area so you get the kind of service you want in a timely manner. Most of the professional general contractors in the area speak English but like I said before, your Panama experience will be that much more enjoyable if you brush up on your Spanish a bit and learn as you go. Well, I hope all this helps a bit as you move forward in your decision and/or building processes. I apologize for not being more prompt on my info blog but I am just having toooo much fun living and learning in this island paradise we call Bocas del Toro. I have a lot more I want to tell you about my adventures and observations regarding this tropical world so don’t give up on me yet. In my next article, I want to talk about some unforeseen rewards I have experienced and observed living in this Bocas del Toro island paradise.